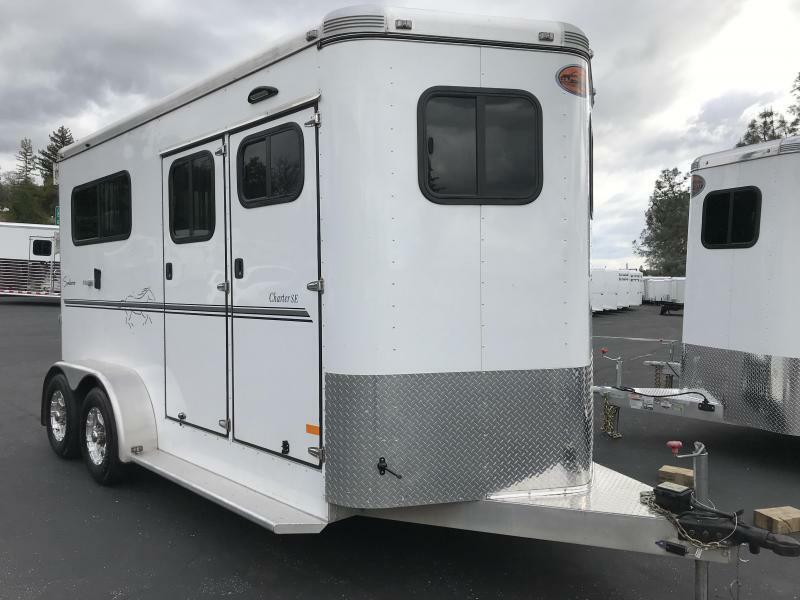 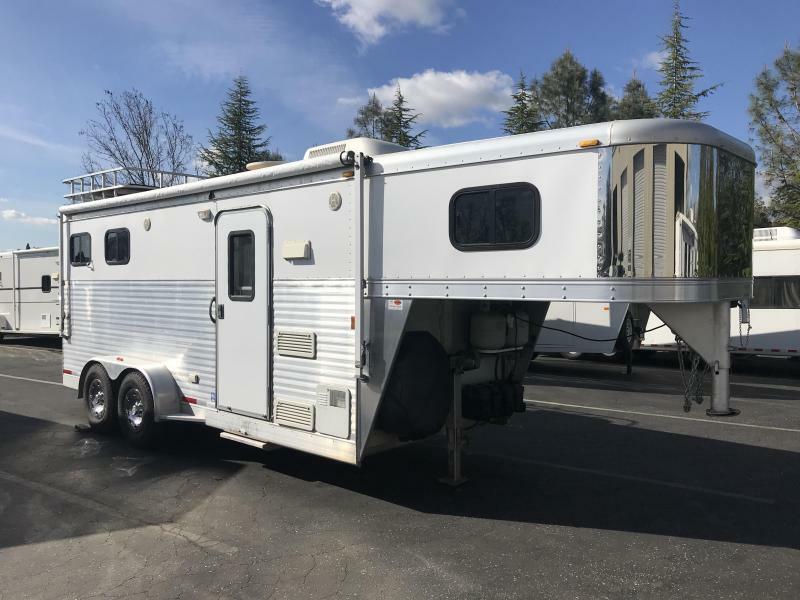 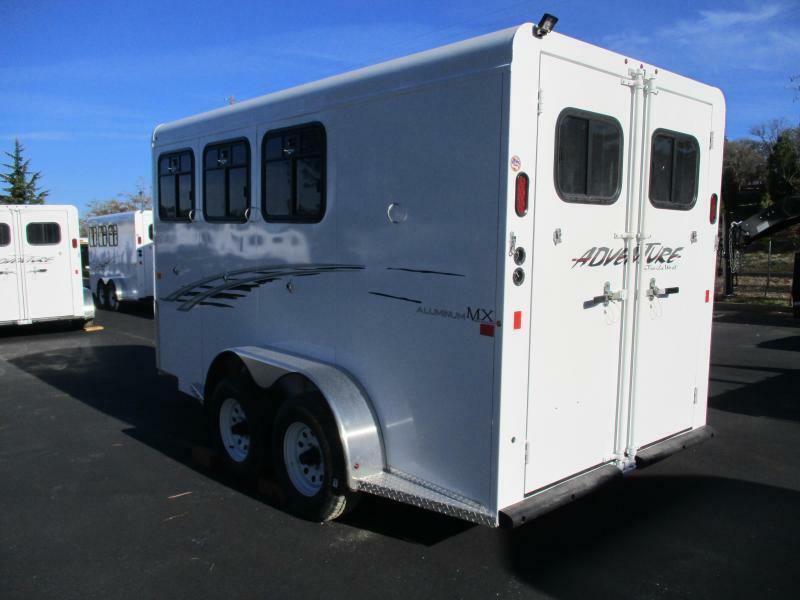 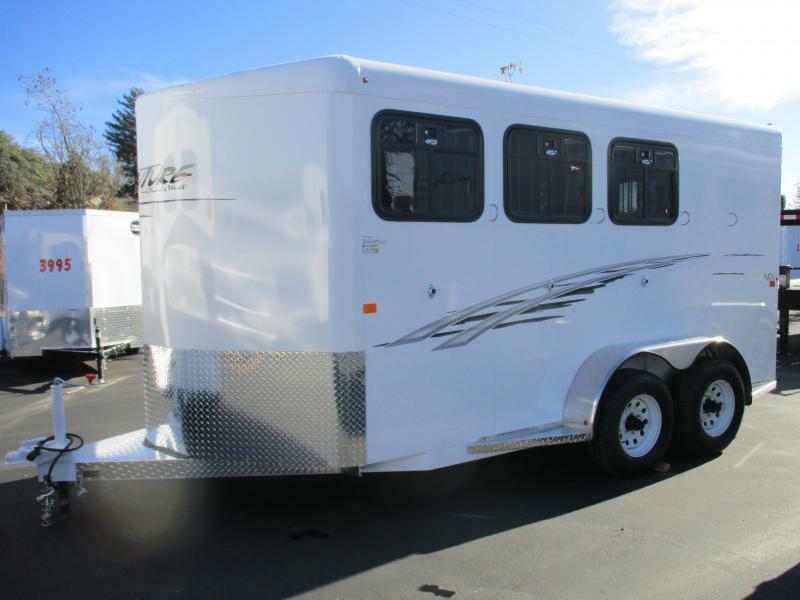 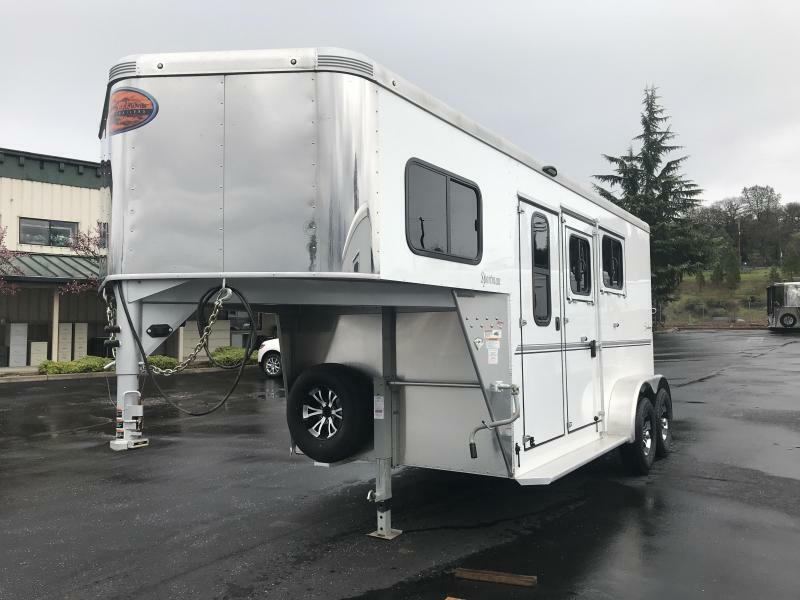 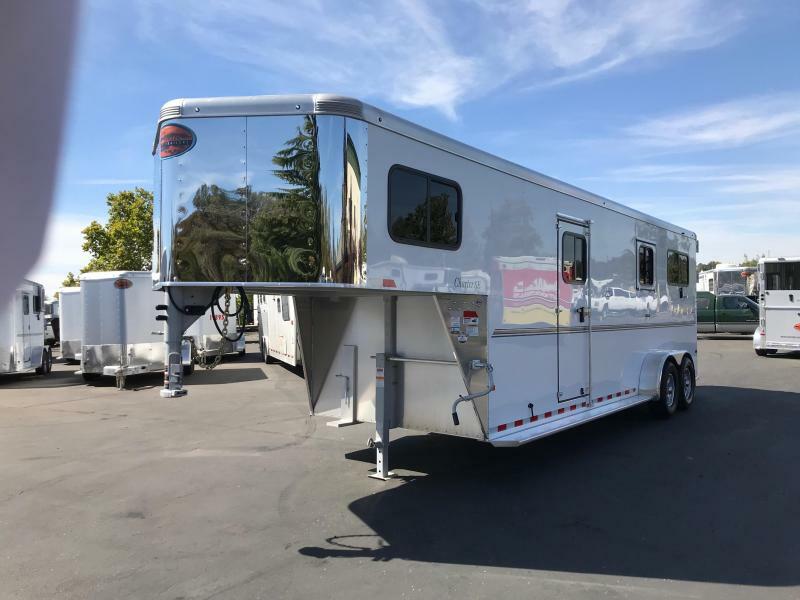 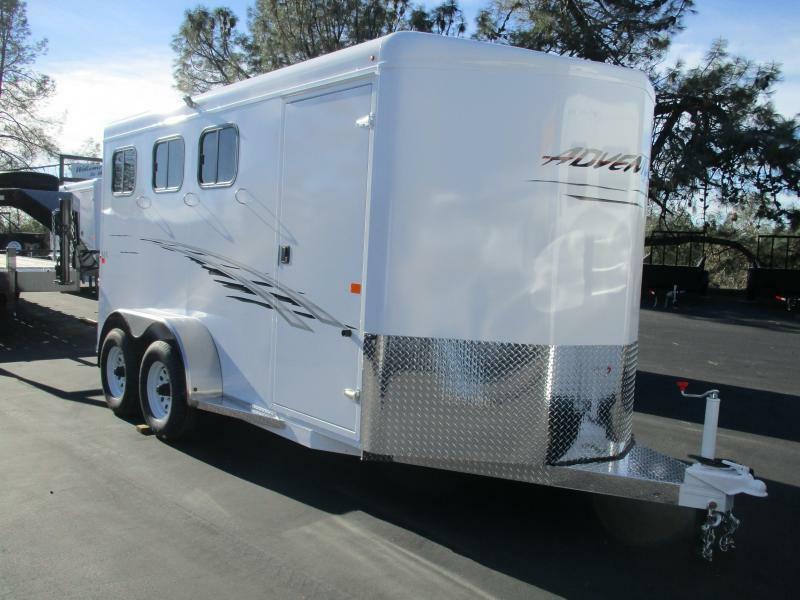 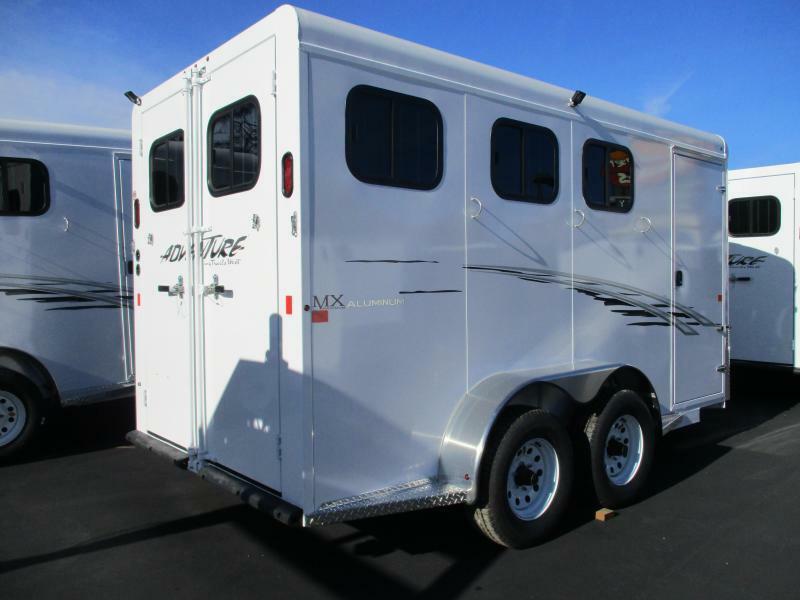 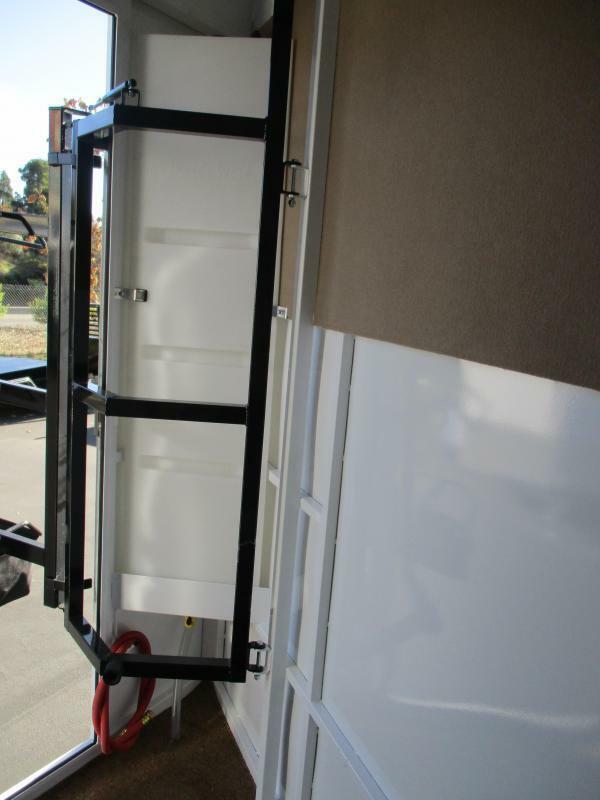 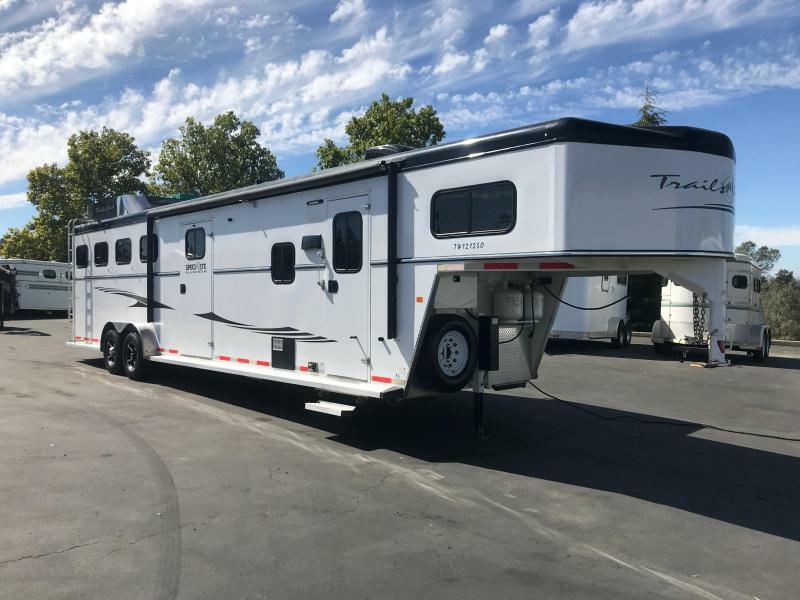 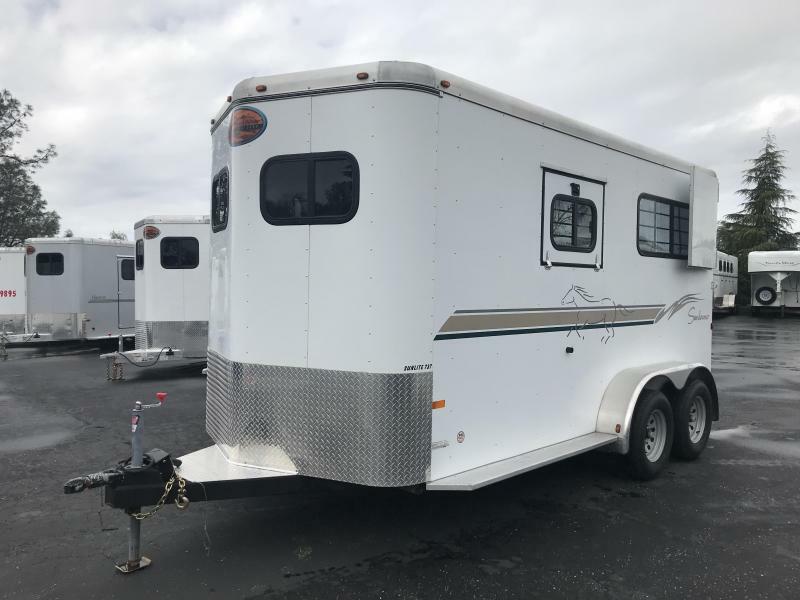 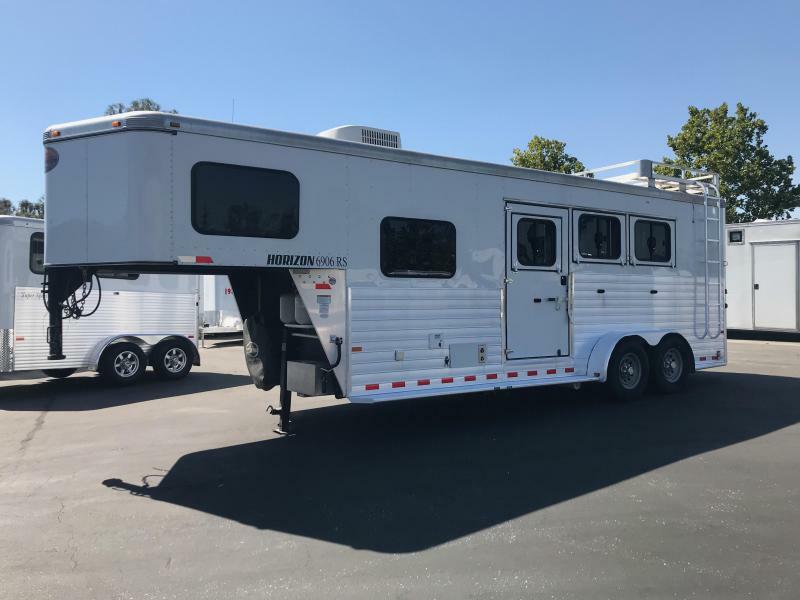 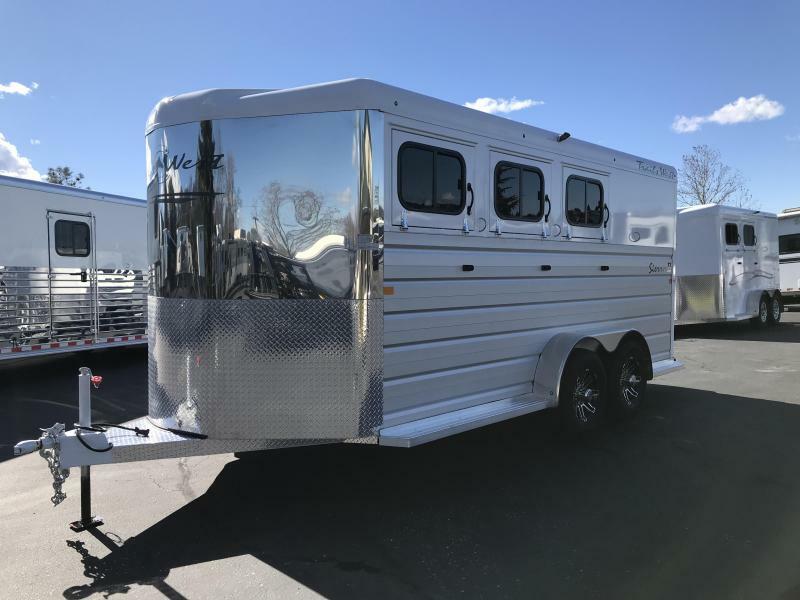 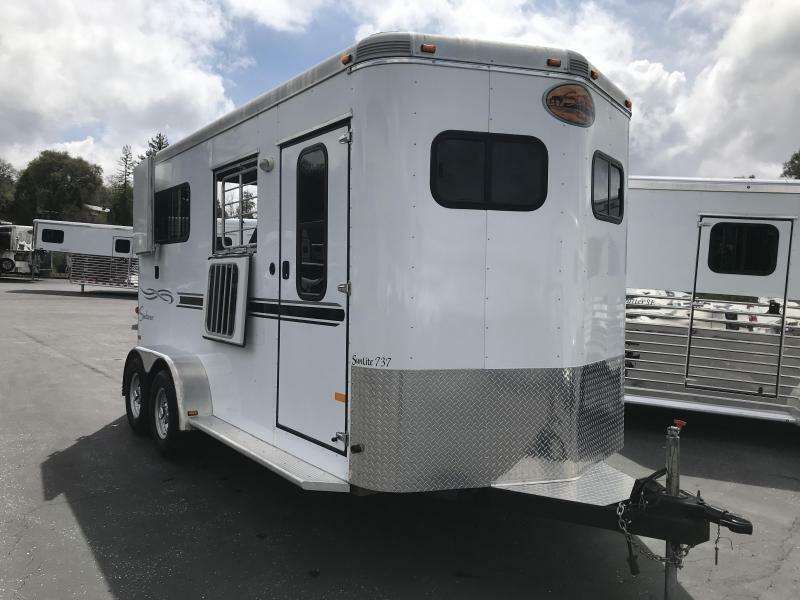 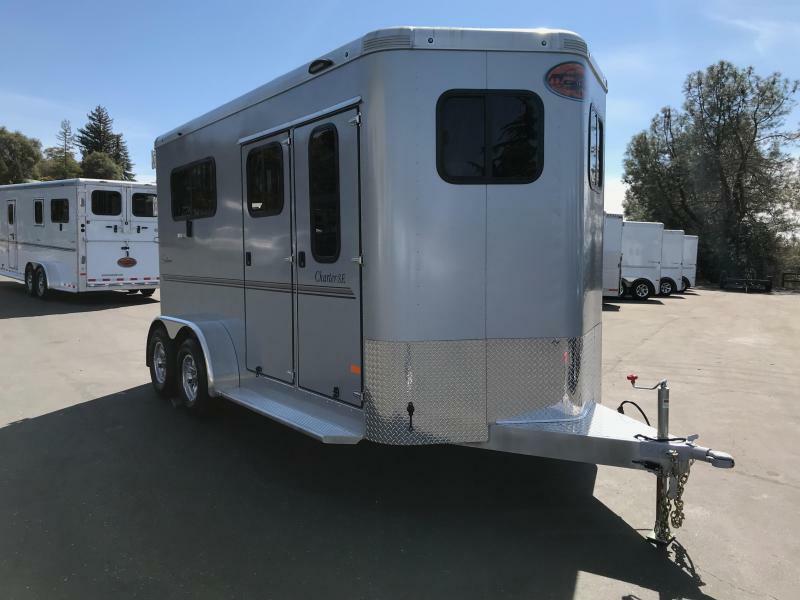 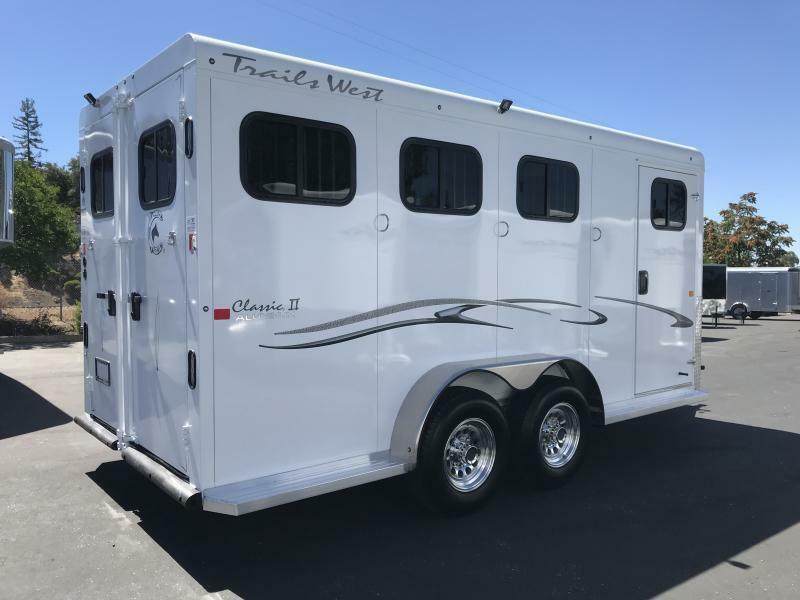 This trailer steel framed aluminum skinned trailer has head side drop down feed windows, tail side sliding windows and rubber wall mats all the way around the horse compartment along with a strong and durable wood floor. 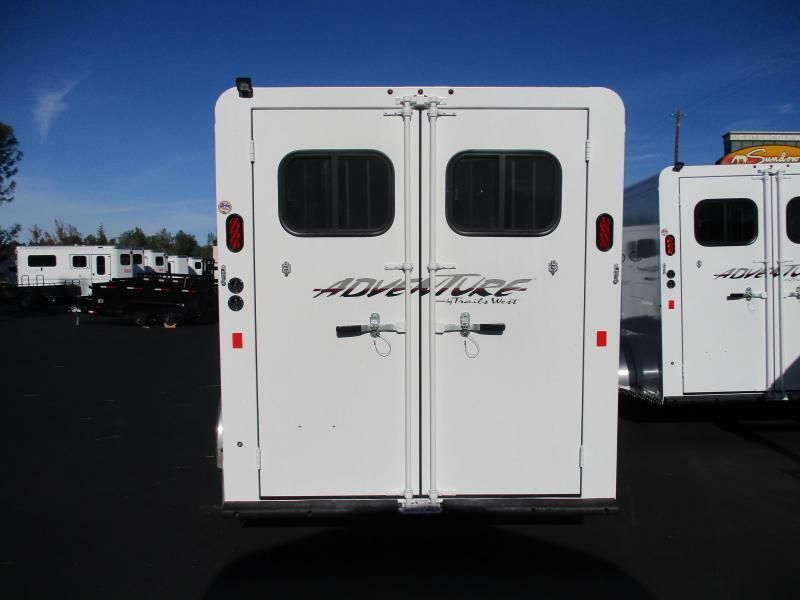 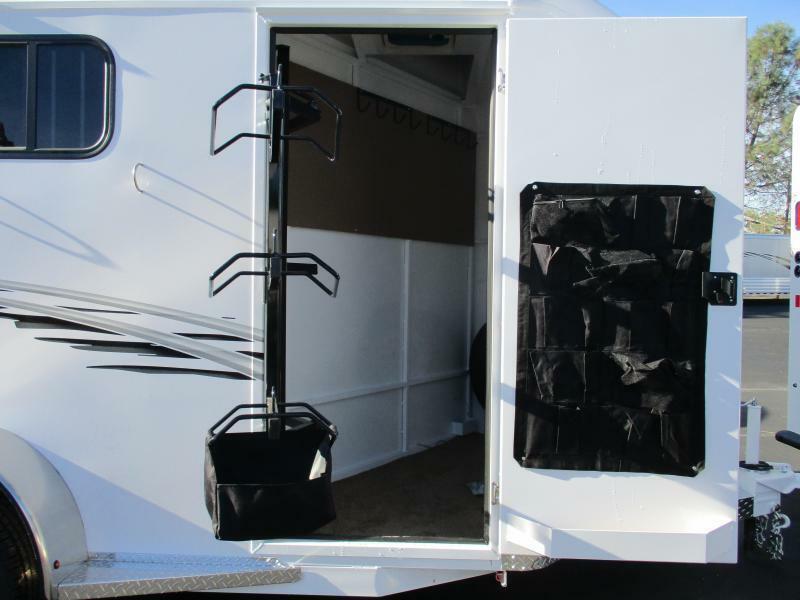 The driver side divider latch allows the horse divider to be secured in an open position or a closed position during travel. 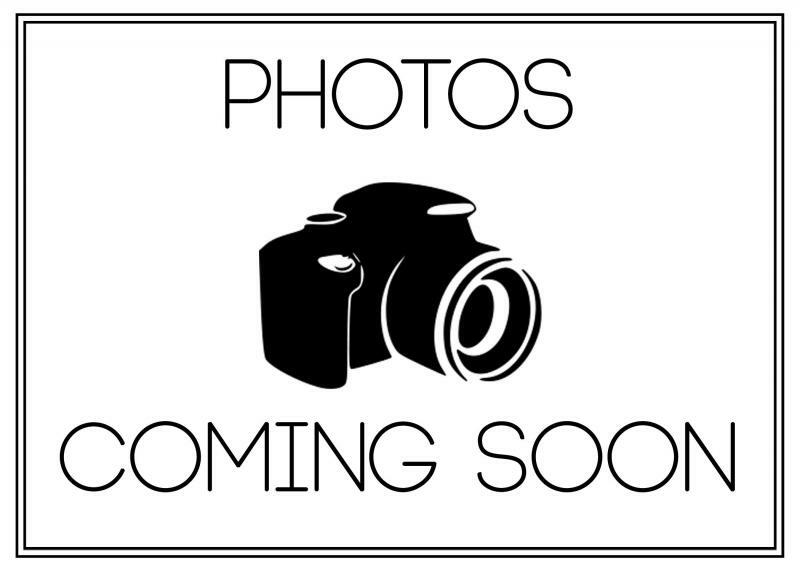 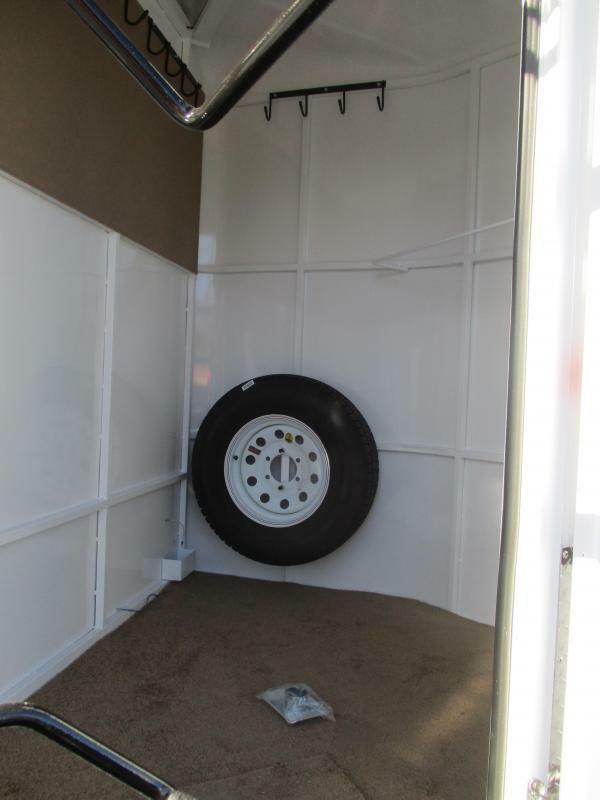 The carpeted tack room is equipped with a 25 gallon water tank, a swing out saddle rack, and a spare tire.